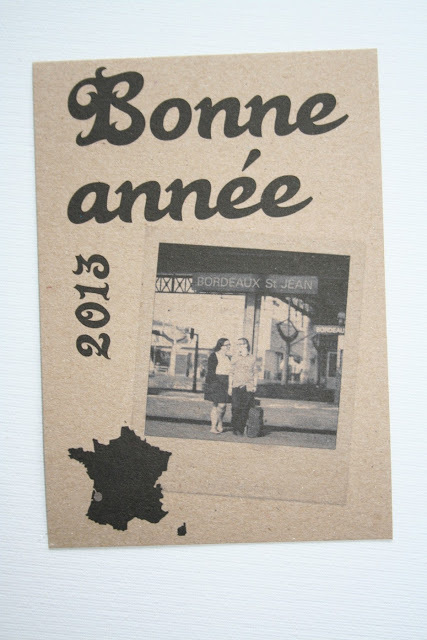 Today's custom order is a happy new year card I made for a young French couple. I had just finished working on their wedding invitations when they requested these. They left me completely free to design whatever I wanted using the photo they sent me. As their story as a couple began in Paris and was now continuing in Bordeaux, I thought appropriate to use a geography theme which fitted their photo too. 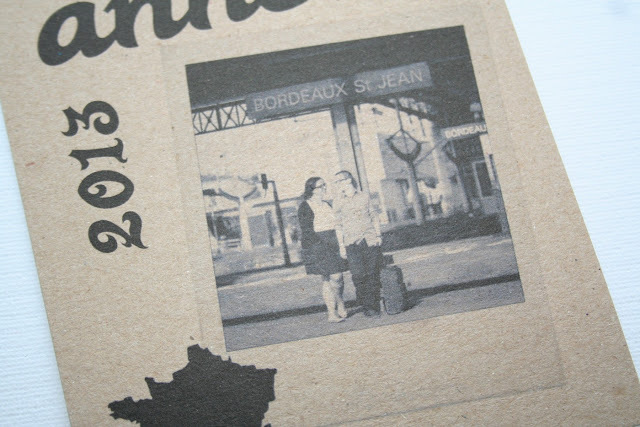 These were postcards, fitting within the travel/geography theme, but also saving them on postage and envelopes costs.